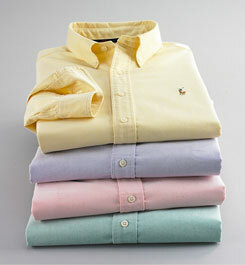 Variety is the spice of life, as long as it’s a button-down oxford. ‘Style’ is a term that’s thrown around a lot these days. Tastes vary, but we can all agree that, most of the time, we know it when we see it: someone has an elegance or ease with dressing well, and wearing it well. And that’s great. I love to see well-dressed people who have manners, diction, and vocabulary to match. If you go through this thought process with each item of clothing you consider purchasing and strive for the third response, you’ll make better shopping choices. You’ll be buying better quality garments less often. And the garments you own will last you longer, often for a lifetime. You’ll also eventually end up with a wardrobe in which everything kind of goes with everything else, without much thought. This is a great list of questions to use when considering clothing purchases. Thanks!